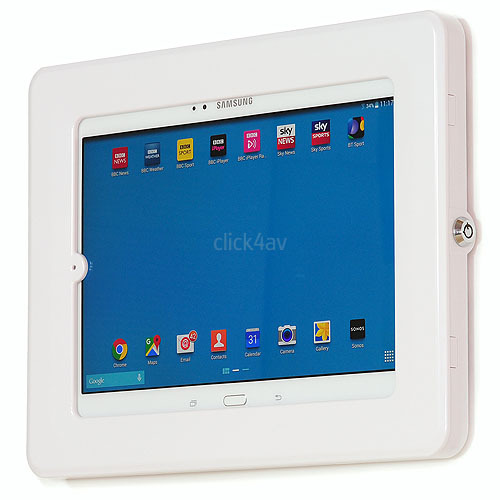 This white secure white 10 inch tablet wall mounting case fits an iPad 1-6 or Air, plus some other 9.7-10.1 inch tablets. Please refer to the compatibility guide below before ordering. 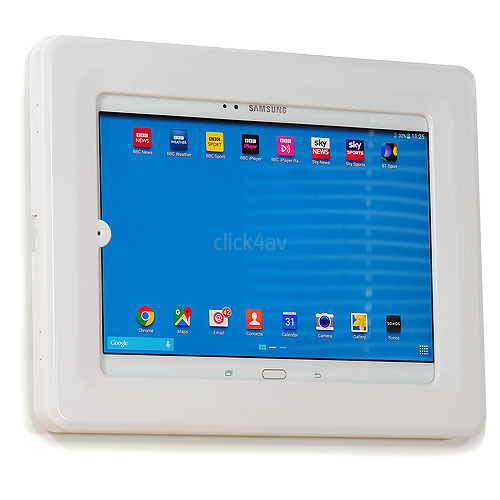 The lockable holder is suited to retail, showroom or POS display applications where an anti theft solution is required, and is designed to cover the home button on an iPad to allow limited public access to the tablet content. 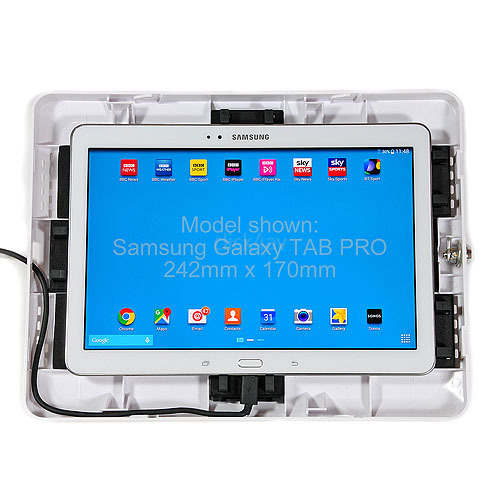 The tablet is gripped by four internal sliding clamps and supported on adjustable foam pads. The case can be fitted landscape or portrait and cables can be routed through the stand for a clean installation. 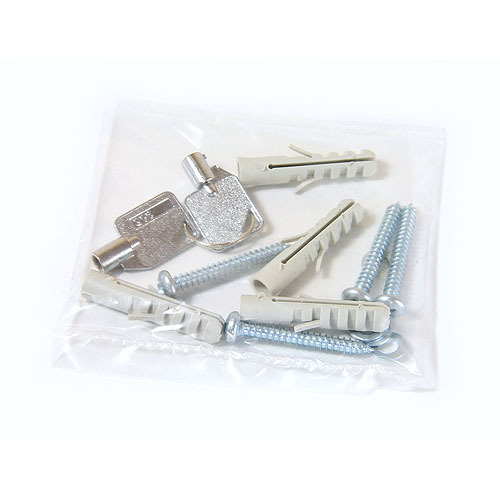 It can also be used as a 75x75mm VESA TV bracket adaptor so that your tablet can be fitted to any 75mm VESA TV wall mount (VESA bolts not supplied).